I am writing this blog post at the end of my six weeks of volunteering at the CRC, which I think came far too soon! I am an apprentice keyboard instruments maker and restorer, working with my father in our family business in Italy. Before my placement in Edinburgh, I worked on various early instruments, such as the 1788 Taskin harpsichord in Milan ‘Castello Sforzesco’, and the 1782 J. A. Stein fortepiano. My most recent work has been the reconstruction of the chromatic harpsichord owned by the Prince of Venosa, Carlo Gesualdo. A few months ago, I decided to contact Musical Instrument Conservator, Jonathan Santa Maria Bouquet, to see if I could volunteer at the CRC in order to improve my skills. I am very grateful to all of the CRC staff for their help and support, especially to Jonathan, who introduced me to St Cecilia’s Hall and gave me the opportunity to work on the instrument collection as a part of the recent renovation of the museum. 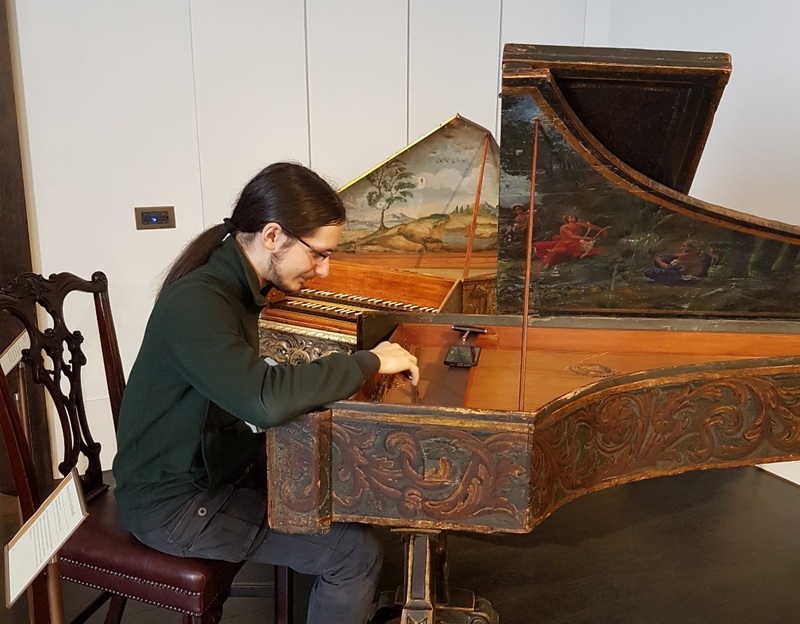 My tasks during my placement consisted of cleaning, tuning and eventually stringing of the early keyboard instruments, specifically harpsichords, pianos, clavichords, virginals and spinets. 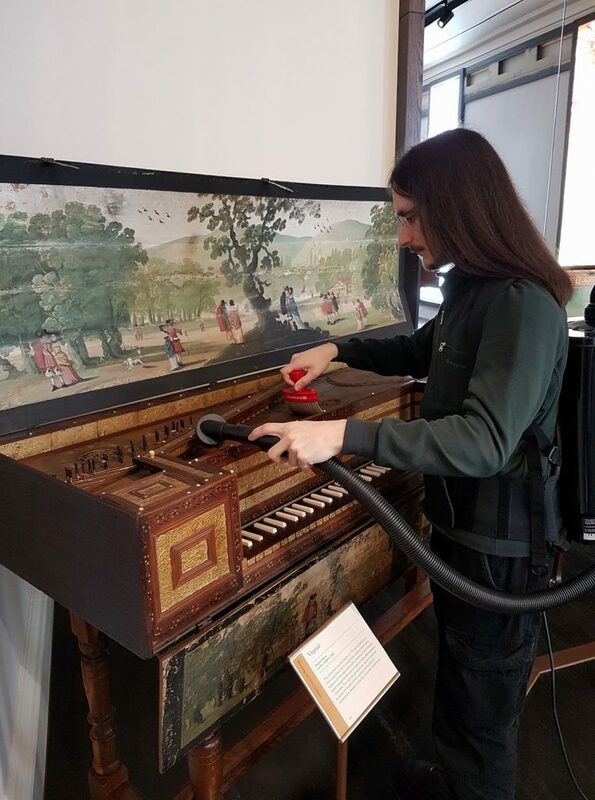 I also took part in some maintenance operations when needed, even though the collection is already in a very good condition, and almost all the instruments are currently playable. The tasks were similar to what I usually do in my workshop, but here I had the chance to work on some of the most important extant instruments, whilst learning different operating methods and techniques from the staff of St Cecilia’s Hall. I also had the chance to work at the CRC library under the supervision of Special Collections Conservator, Emily Hick, where I assisted in the conservation of a part of its impressive book collection. Whilst not directly related to my job, I found the experience useful, and I learnt other techniques that can also be applied in my field. Overall, my time at St Cecilia’s Hall and the CRC has been an extremely valuable experience. I gained further knowledge on the conservation of instruments and now have a better understanding of working practices in a museum. This entry was posted in Student Placement and tagged conservation, musical instruments, st cecilia's hall by conservation. Bookmark the permalink.